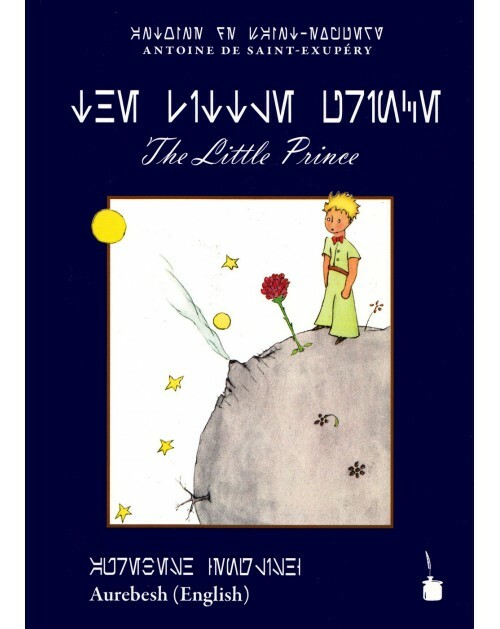 Placemat : The Little Prince. Featuring the Little Prince meating the Fox. Citation : " If you tame me, then we shall need each other. To me you will be unique in all the world. To you, I shall be unique in the world." Sizes : 45 cm long ; 30 cm large By Editions Clouet. 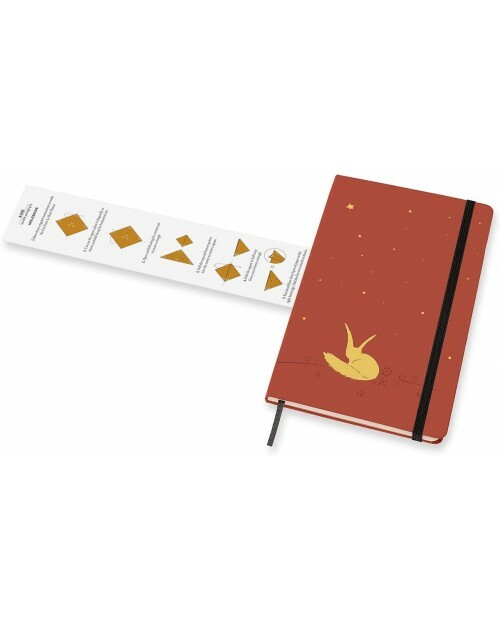 Napkins Dispender by The Little Prince. 50's napkins dispender ! Useful to protect your napkins ! A nice trivet with a famous quotation from the book The Little Prince and the picture of the Little Prince and his rose. A beautiful little tray The Little Prince in metal with a beautiful picture representing the Little Prince surrounded by flowers as well as a famous quote from the book The Little Prince : « Tu es responsable de ta rose ». 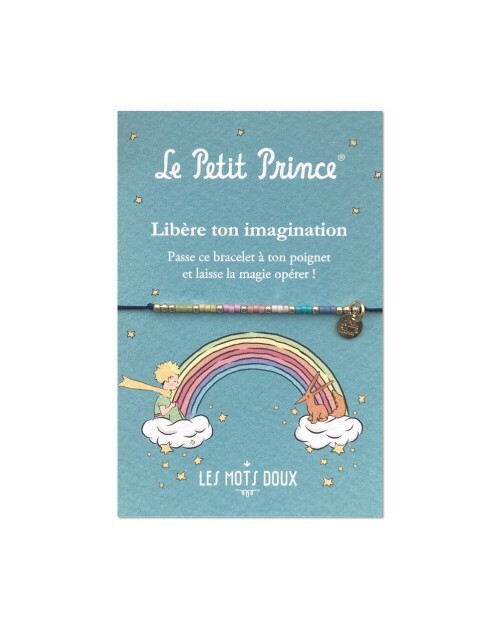 A beautiful little tray The Little Prince in metal with a beautiful picture representing the Little Prince surrounded by stars as well as a famous quote from the book The Little Prince : « Les étoiles sont belles à cause d'une fleur qu'on ne voit pas ». 6 different versions of Coasters The Little Prince representing The Little Prince with for each Coasters a different colored background and quotation. 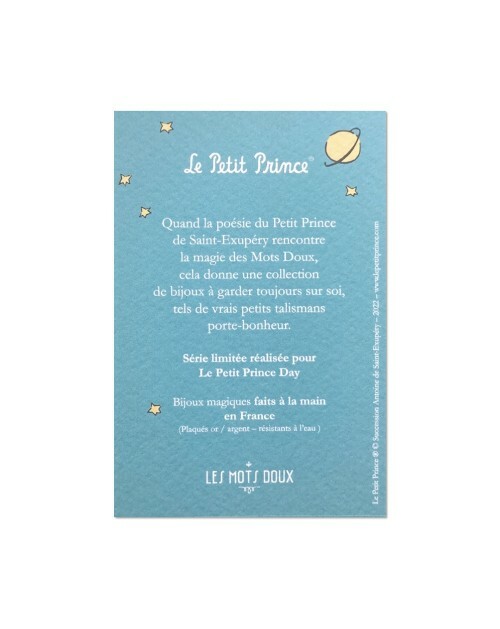 Placemat The Little Prince in the stars with the famous quote "Les étoiles sont belles à cause d'une fleur qu'on ne voit pas"
Placemat The Little Prince in flowers with the famous quote "Tu es responsable de ta rose"
Placemat The Little Prince "Si tu veux un ami, apprivoise-moi!" Placemat The Little Prince "S'il vous plaît… Dessine moi un mouton!" Placemat The Little Prince with the famous quote "S'il vous plaît… Dessine moi un mouton!"